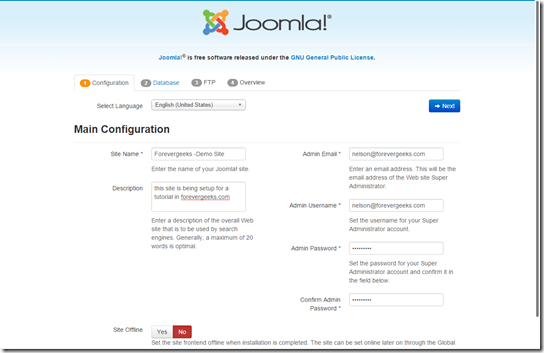 Joomla is a popular content management system for building websites. 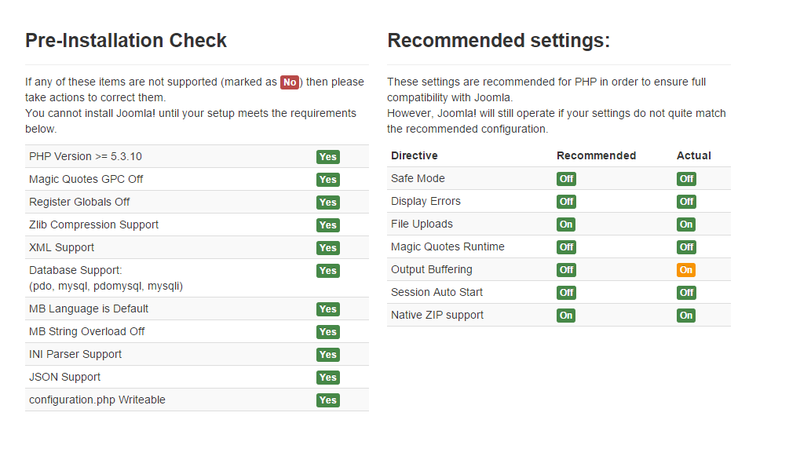 Joomla is my preferred platform for building business websites that don’t get updated as often as a blog. if you are planning to publish content on your website frequently, then maybe using WordPress will be a better option for you. 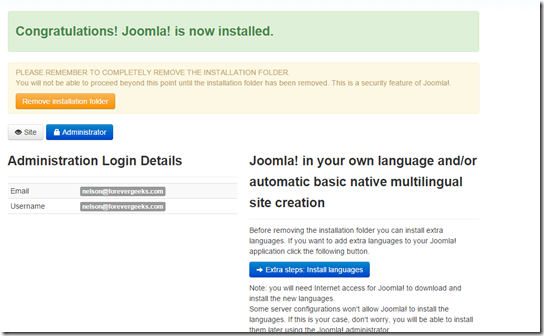 In this guide I will walk you step by step on how to install and configure the latest release of Joomla which at the time of this writing is version 3. 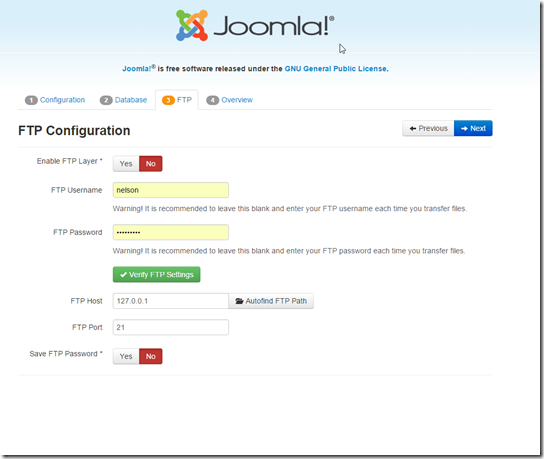 You can install Joomla in other web servers like Ngnix and IIS but that’s beyond the scope of this tutorial. I will use Ubuntu LTS Server 14.04 for this guide with SSH and Root access to the server. You can install Joomla in any other Linux distribution as long as the requirements listed above are met, but all the commands used in this tutorial are based on Ubuntu. I assume your Ubuntu Server is already online, and fully updated. If you haven’t installed the LAMP stack on the server yet, the easiest way to do it is using the tasksel script. Type these commands one by one on terminal sudo apt-get install tasksel and then type sudo apt-get update && sudo tasksel install lamp-server follow the the instructions to enter a password for your MySQL server. after your installation finishes, you should have a basic LAMP server installed. type in the IP address of your server in the browser to make sure your Apache is running. Login to your MySQL server and create the database. 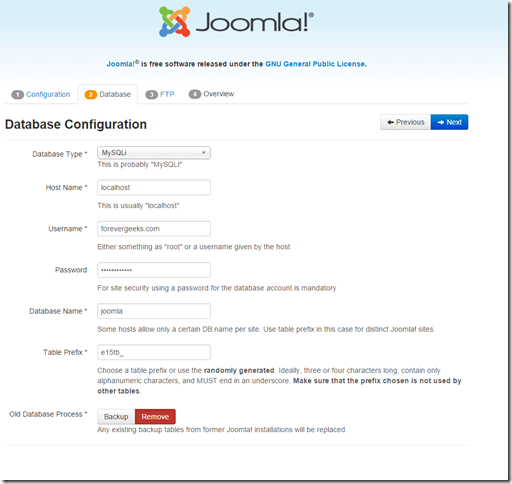 mysql –u root –p then create the database create database nameofyourdatanase; ( e.g create database joomla ; ) if you don’t want to use the MySQL root password to install joomla, you can create a specific user in MySQL. 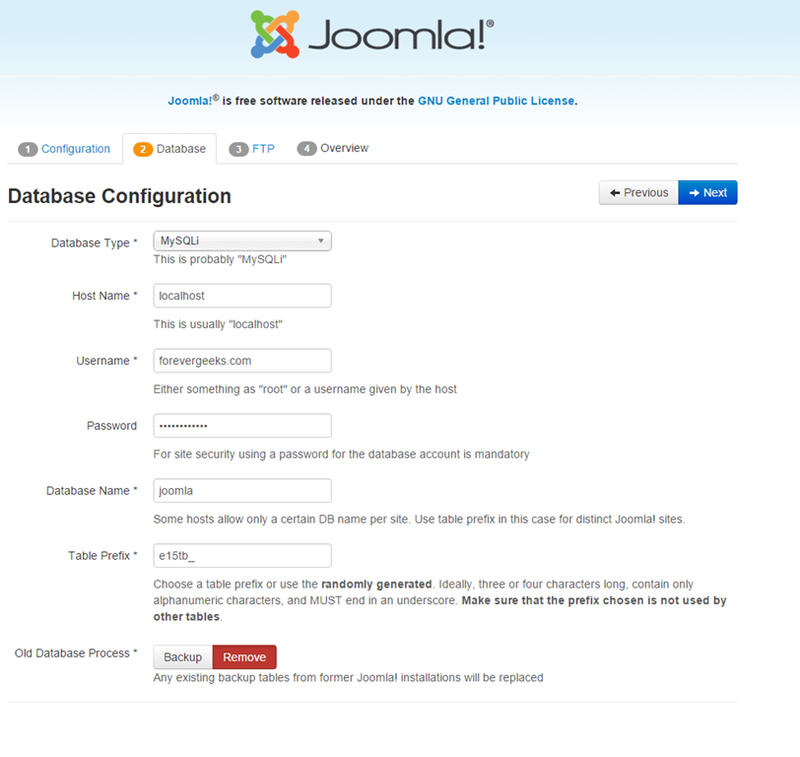 CREATE USER ‘newuser’@’localhost’ IDENTIFIED BY ‘password’; (e.g create user ‘forevergeeks’@’localhost’ identified by ‘forevergeeks’; ) then grant the user full access to the joomla database GRANT ALL PRIVILEGES ON databasename. 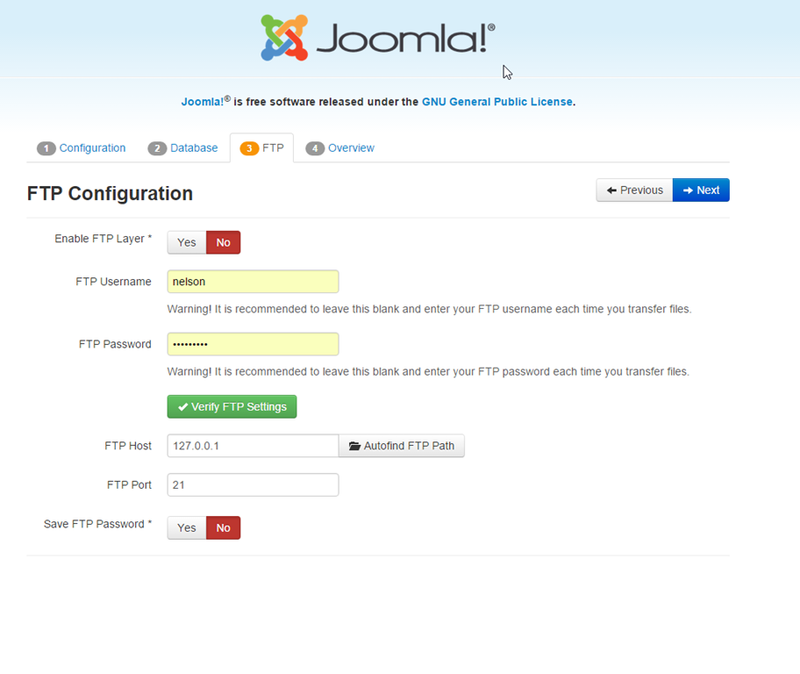 * TO ‘user’@’localhost’; (e.g grant all privileges on joomla. 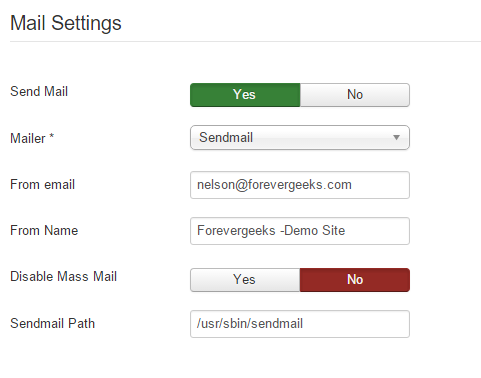 * to ‘forevergeeks’@’localhost’; ) then type flush privileges; and exit. For the database type choose MySQLi and hostname most likely is “localhost”. enter the username that has access to the database, and the password. Table prefix should be left as default. if you don’t have any existing database select “Remove” after you are done entering the database info click on Next. IF you want to setup FTP in your site, do it here. if you don’t, then just click Next. Click on Install. 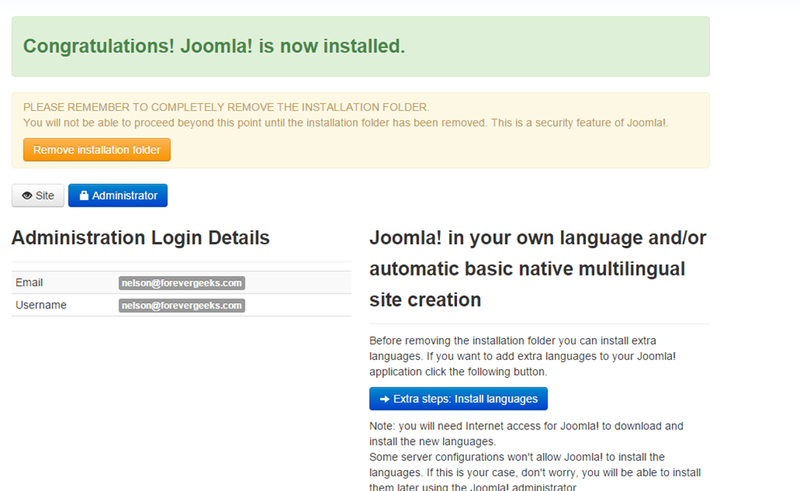 Congratulations, Joomla! is not installed. click on Remove Installation folder that’s it. you can now login to your site! 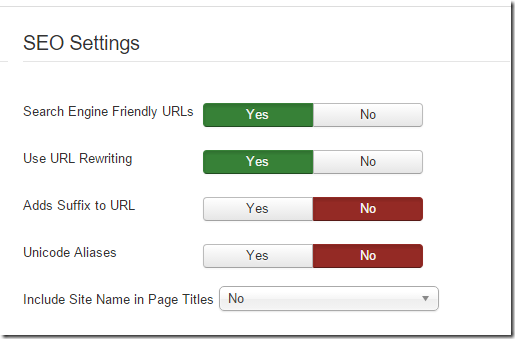 There are a couple of settings you should turn on under the Global Configuration to help your site rank better in search engines. 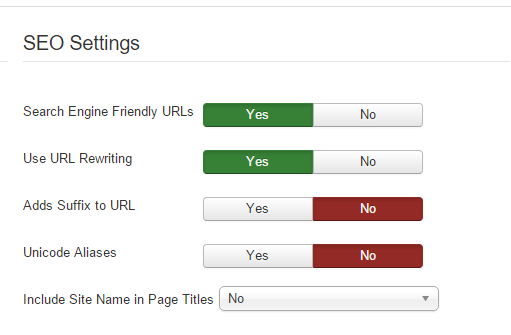 once you login to the admin panel, click on Systems and then Global Configuration then under SEO Settings make sure Search Engine Friendly URLs and Use URL Rewriting are set to Yes. 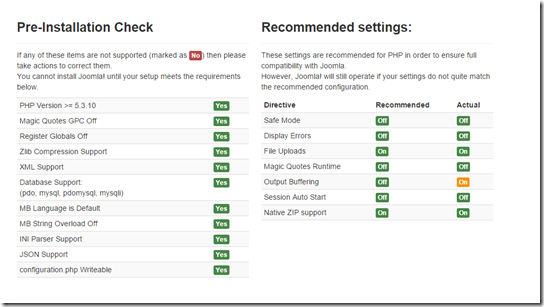 If you get errors trying to access pages on the site after making these changes, make sure your .htaccess file is present in your Joomla web directory. IF you want to use Gmail as your email host, then choose SMTP from the Mailer dropdown menu, and follow this guide to setup Gmail as your SMTP host. 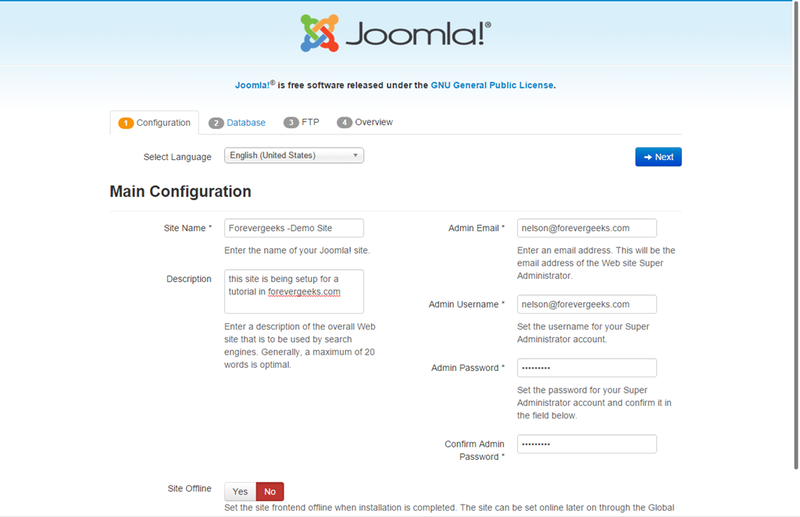 Joomla is a robust and easy to use content management system and you can use to to build all types of websites. I have built professional business sites, music sites, social sites, and many other types of sites in Joomla without facing too many problems. I hope this guide was helpful to you, and if you have any question, please use the comment section below. thank you!